Welcome to Centerville Monument Company! 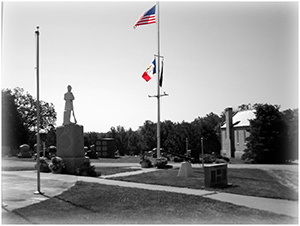 Centerville Monument Company is a small town family owned business that takes pride in providing the BEST services for it's communities and surrounding areas. Our goal is to give you a custom, totally personalized monument based on your guidance and information, that you and your family can be proud of for centuries to come. All of our work is done in-house to ensure the best quality possible. We are providing Memorial Art for a Lifetime . . . And Then Some!